Reps oppose Buratai’s new language policy – Royal Times of Nigeria. 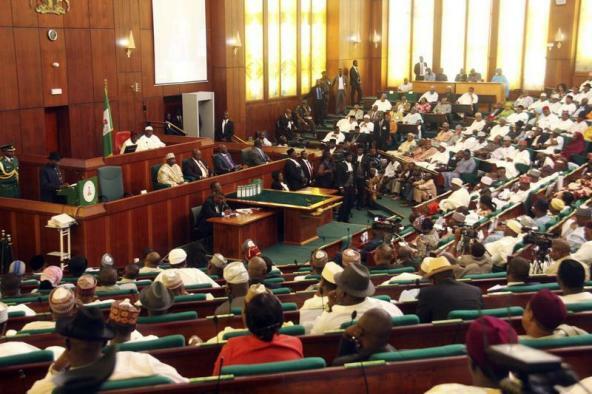 The House of Representatives during Wednesday plenary disapproved the new local language policy proposed by the Nigerian Army. The Chief of Army Staff, Tukur Buratai had ordered all army personnel to be eloquent in the three major languages – Hausa, Igbo, Yoruba by December 2018. The House urged Buratai to stop the implementation of the policy. The resolution was sequel to the unanimous adoption of a motion, sponsored by two members, Abiante Dagomie and Diri Douye. Dagomie moving the motion, reiterated the need for the Army to continue with the practice of communicating in the English language in a multi-lingual Army. Dagomie further said that the policy infringed on the fundamental rights of the minority languages in the country, added that it would serve no purpose beyond fractionalisation and marginalisation in the Army. He said, “Nigeria is home to languages, numbering about 400 and that language gives insight into the personality and culture of a people. “Therefore, such a local language policy proposed by the Nigerian Army infringes on the fundamental rights of the minorities not to be foisted with the linguistic and cultural hegemonies of major languages. “This situation, should it continue unabated, will lead to discrimination and exclusion from employment opportunities, promotion and ambush of the legitimate aspirations of overwhelming numbers of non-native speakers of Yoruba, Igbo and Hausa in the Army. “Nigerian society is heterogeneous and as such, in contemplating policies, care must be taken to steer discourse to what is integrating, progressive and amenable. “This is to ensure mass involvement in the national development and democratic processes rather than pandering to primordial or tribal biases. “The policy flies in the face of an increasingly globalising world where proficiency in an international language is the current inclination. The Deputy Speaker, Yusuf Lasun, who presided over the plenary, referred the motion to the Committee on Army to interface with the Chief of Army Staff on the policy with a view to ensuring a stop to it. The committee is to report back in four weeks.